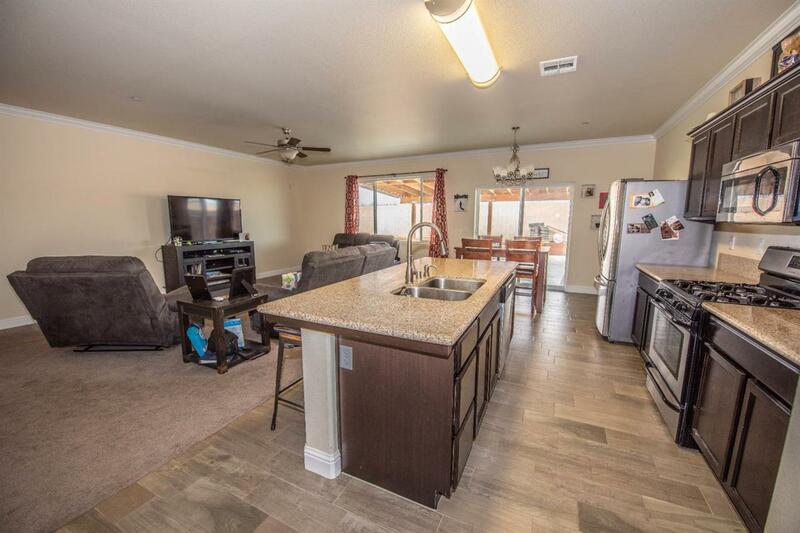 2 yr. new ,GJ Gardner, Padre model , 4 bedrooms 2 baths. 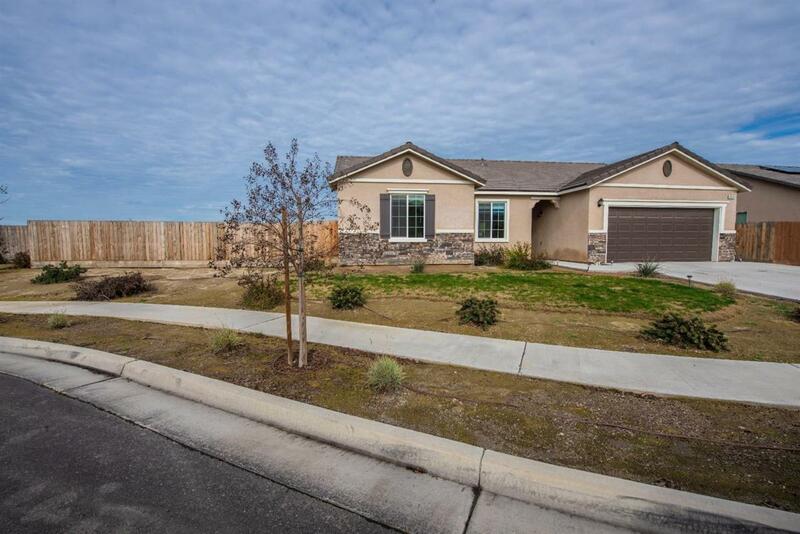 Open Floor plan, Great room, Spacious Kitchen with Granite counters an backsplash, stainless steel sink, gas range, pantry ,tile floors, Large eating bar. 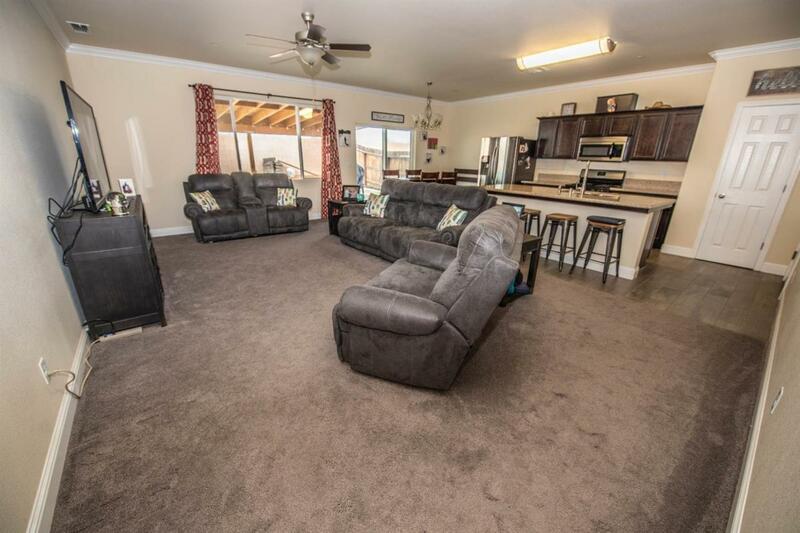 Master has tile floors, separate Shower and whirlpool tub. Nickel fans with lights throughout, crown molding, fire sprinklers. Huge backyard with 25X20 covered patio. Tile roof, room for R.V. access, cul-de-sac lot. Block fencing in back. 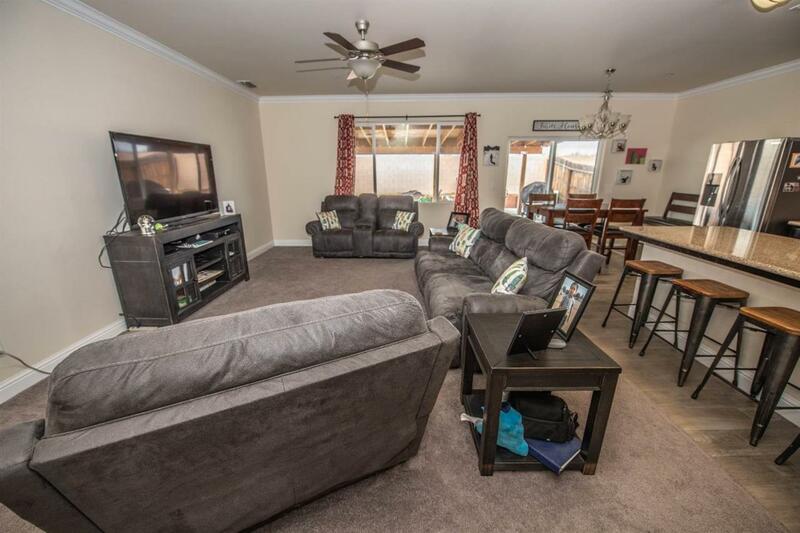 Close to Schools, parks, and shopping centers.